This Medium Press Package contains essential printmaking equipment from Jack Richeson. The press has 19 inch wide rollers and a bed that measures 19 5/8 x 36, with a maximum print sizes is 17 x 35 inches. 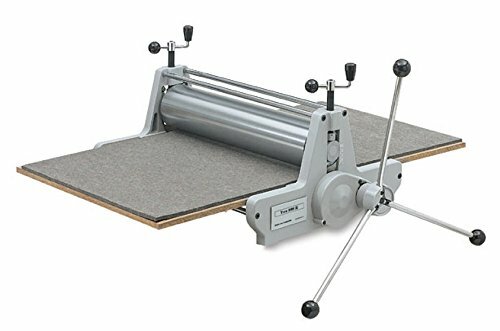 Ideal for a variety of printmaking techniques including etching, block and mono-printing. Made of cast iron. A Medium sized phenolic plate and gray cushion are also included in this package.